In this dog puzzle you can hide snacks or some food in various ways to challenge the dog every time. This dog puzzle is one of the newest and most versatile dog games. The puzzle ensures that your dog or puppy is challenged every time. 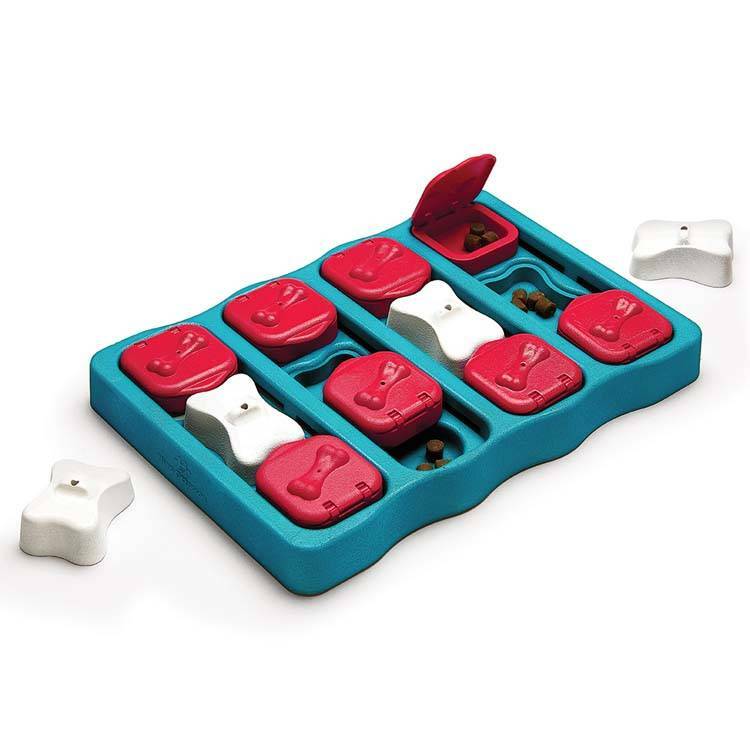 The puzzle has different ways to hide a snack or food. The compartments can be closed with the red lids (which can also be moved) or closed with a nice white bone. The dog puzzle is a great way to entertain your dog. This training also occupies fearful dogs and helps to prevent boredom and destructive behavior. 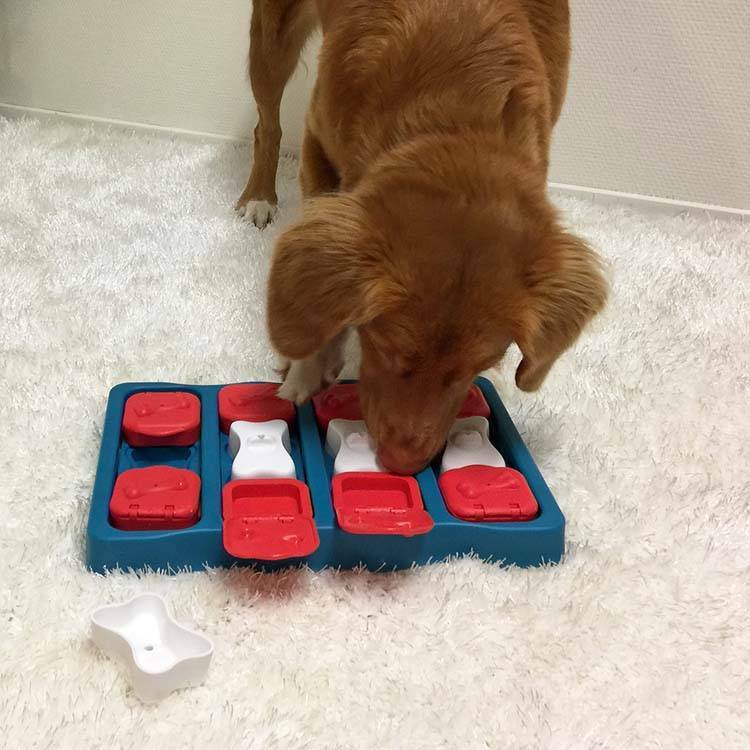 This puzzle is a level 2 puzzle: different from level 1, level 2 dog puzzles offers increased stimulation and learning options. Your dog will benefit from the mental challenges and grow through the interaction and fun with the owner! 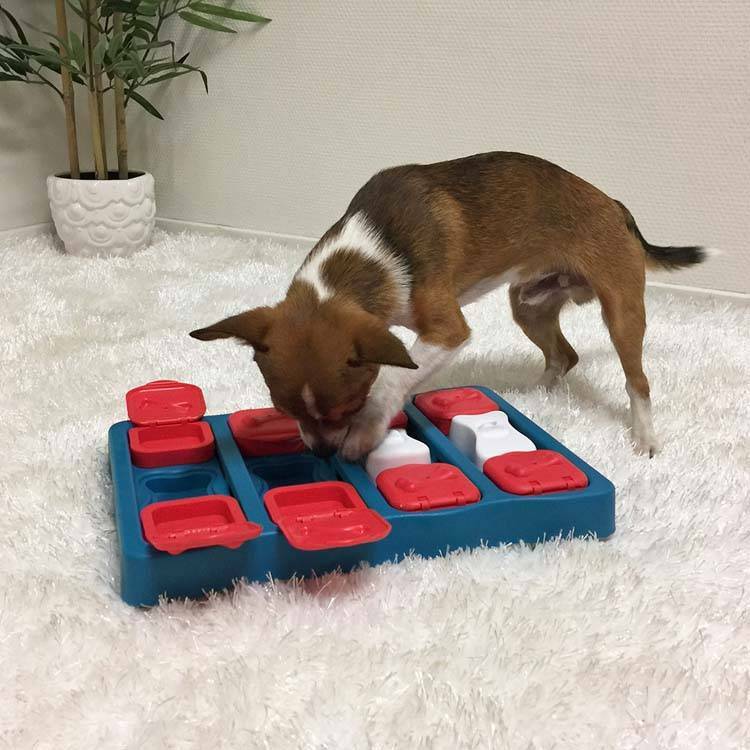 The Nina Ottosson dog puzzles are aimed at challenging the brain of your dog. 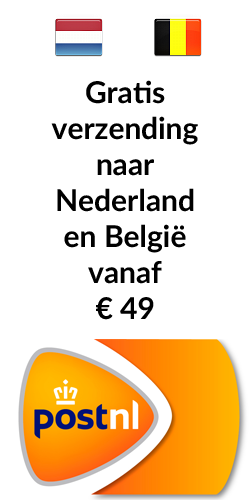 Monitor while playing and do not let the dog chew on the toy. 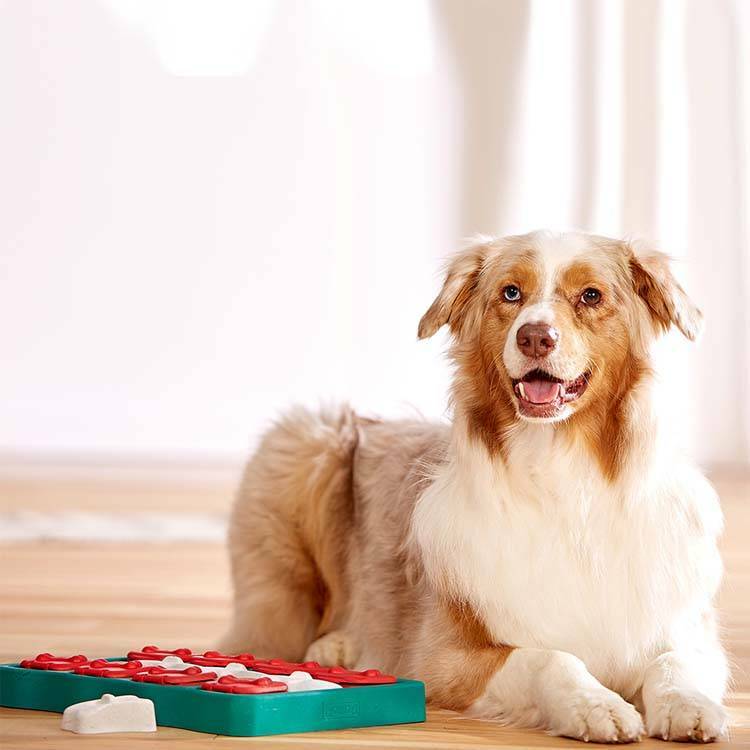 Teach the dog how to use the puzzle to play and to have fun together. Put the puzzle away after playing until the next time. The puzzle is easy to clean: remove all snacks / food and clean it with a hand wash with warm soapy water, rinse it clean and dry it. • Fight boredom by keeping your dog busy. • Helping to reduce destructive behavior by practicing your dog's mind. • Provide fun for all dogs - regardless of age and height.